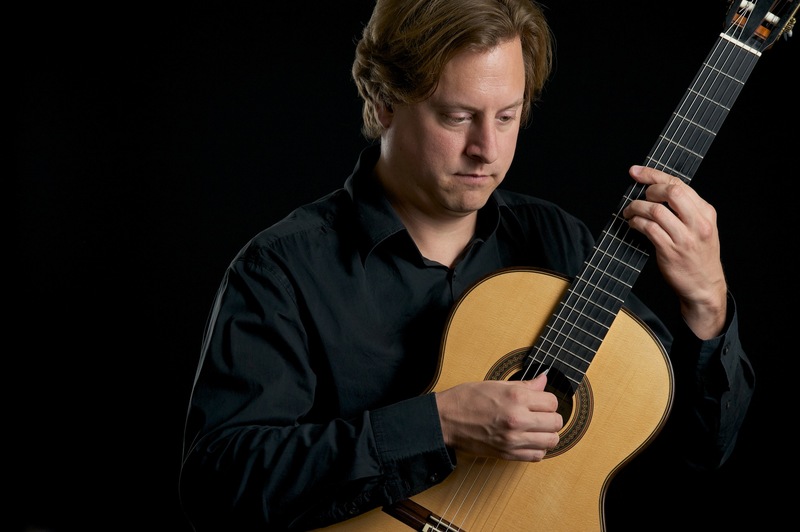 Last week, Jason Vieaux and Artist Works launched a new course for classical guitarists. It’s a video lesson platform and you can check it out here. I was able to ask Jason a few questions about his new online lesson series. Before we get to that, however, Jason was kind enough to give ClassicalGuitar.org readers a sample lesson. Jason Vieaux: The technology is there. I recorded over 100 video lessons at the ArtistWorks studios in Napa last April, in order to compile a curriculum for the June 14th Jason Vieaux Classical Guitar School launch. The sound and visual quality are excellent, and the ArtistWorks Video Exchange TM platform makes the one-on-one interaction between myself and any student around the world very easy and fun. CG.org: What attracted you to this platform? JV: The ease and flexibility of it, and the potential scope of the information so many people around the world can get, as a result of their participation. CG.org: How effective do you think these lessons are? JV: Extremely effective. The advantage to recorded lessons is the pressure it takes off the student to perform, to ask a question they may not feel comfortable asking in the short moment of a 1-hour lesson, which is very expensive by comparison. We’ve all had the experience of studying with a master performer or teacher, and being so caught up in the moment that we forget to ask a few questions we were hoping to get information on. All of that pressure is taken away because of this medium. CG.org: How does the lesson platform work? JV: I view video submissions sent from students and then answer them with a recorded video of my own, made at home, in a hotel, virtually anywhere. I upload them to the ArtistWorks server for all students to view. It’s not a live interaction, but a continuous communication loop of uploaded videos sent back and forth. All the students that subscribe can view all student submissions, all my video responses, and of course the curriculum, which is continually expanding. A huge base of knowledge begins to emerge and grow, and everyone learns from it, including me! CG.org: Can people still ask you questions? JV: They can ask questions, show me pieces they learned, even just a passage from a piece they’re working on. It doesn’t have to be a piece from the curriciulum. CG.org: Is there an area where students can interact? JV: Subscribers are able to interact with each other on the community chat rooms and forums and can easily connect with other guitarists by interest or location. CG.org: Do the pieces come with sheet music? If not, do you recommend editions? JV: All public domain pieces come with PDFs, and anything that is not public domain comes with a suggested link for an edition of the music. CG.org: What’s in for the coming months? More videos? JV: I hope so!! This is such an exciting thing to be a part of, I can’t wait to get going on it. for my area. I would love to join. Can I change the speed? Fantastic playing by the way! I am interested in the advanced course.